Heading to Maui? 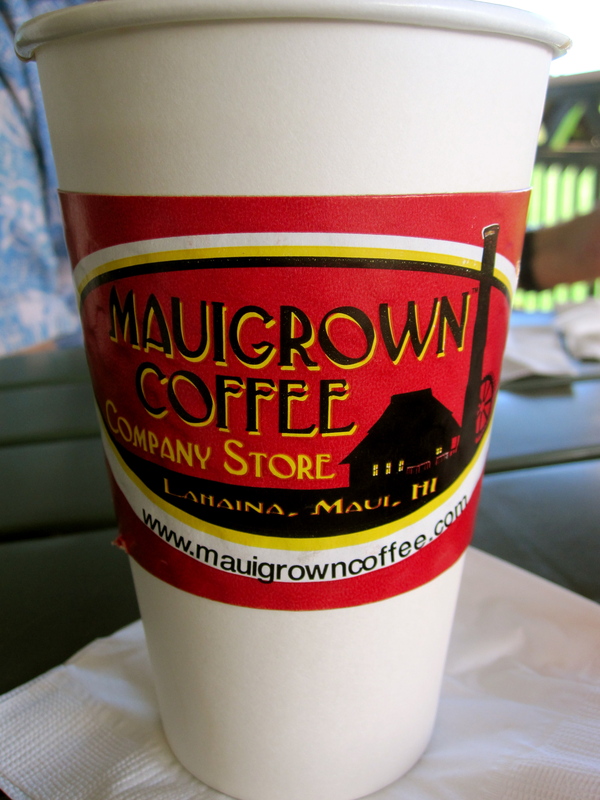 Try MauiGrown Coffee! We’re always on a search for coffee and this time we’re headed to Lahaina on the island of Maui. I noticed a “best of” advertisement for MauiGrown Coffee. They featured coffee tastings so we headed to their store. It’s easy to find since it neighbors the towering, historic Pioneer Mill Smokestack. We had five samples and each one was outstanding. The barista gave us an overview of each tasting and we decided Maui Mokka was our favorite. They refer to this medium roast as the “champagne of coffee.” We ordered a cup to enjoy while sitting on their welcoming porch. Every morning after that we could be found sitting on the porch enjoying a cup and a couple of times, I confess, we enjoyed one of their amazing peanut butter cookies. MauiGrown Coffee fields on the Kaanapali Estate near Lahaina. 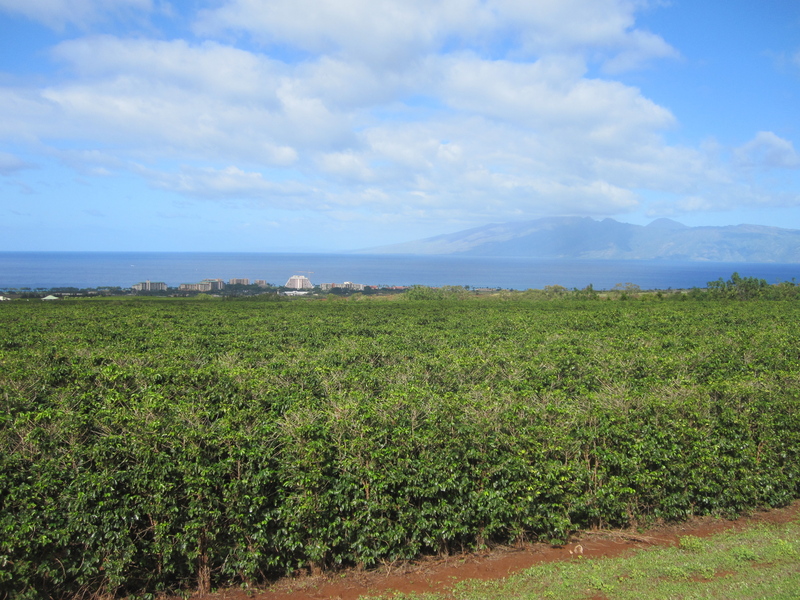 The coffee is grown on the Kaanapali Estate, four miles north of Lahaina. The farm was formerly part of a sugar plantation. The 500-acre farm is planted with four varieties: Red Catuai, Yellow Caturra, Typica, and Maui Mokka. You can visit the farm by taking a self-guided, scenic drive with expansive views. Be sure to stop at the viewing platform. That said, be aware that you should not get out of your car if you have recently visited a Kona coffee farm. They are trying to prevent the spread of a tiny coffee beetle to Maui. Gates close at 4:00 PM. Visit their website at http://www.mauigrowncoffee.com for more information and to view videos about visiting the coffee store and the plantation’s field to cup process. Bring your own cup and they’ll fill it for $1.00, but remember MauiGrown Coffee is closed on Sundays. If you can visit the store for a tasting, make sure you give yourself a few minutes to investigate the nearby Pioneer Mill Smokestack and historic engines. This entry was posted in Maui and tagged Hawaiian coffee, Maui coffee. Bookmark the permalink.